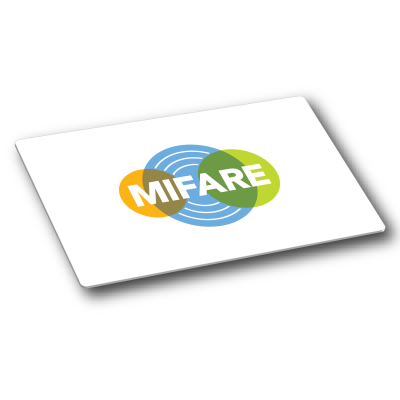 MIFARE® DESFire® is ideal for combing and supporting multiple applications on one card. MIFARE DESFire EV1 benefits from a Unique 7 byte UID and on-chip backup management system. It is also ISO/IEC 14443 A 1-4 compliant. The latest addition to the MIFARE DEFire family is the second evolution MIFARE DESFire EV2, this further increases flexibility and can hold as many different applciations as the memory size supports. MIFARE DESFire EV2 also supports the addition of applications after the card has been deployed to the market and offers an increased operating distance. Typical applications for MIFARE DESFire include: transport, access control, leisure, e-government and loyalty. For further information about MIFARE DESFire please take a look at the relevant product datasheet or contact us to discuss your project requirements.